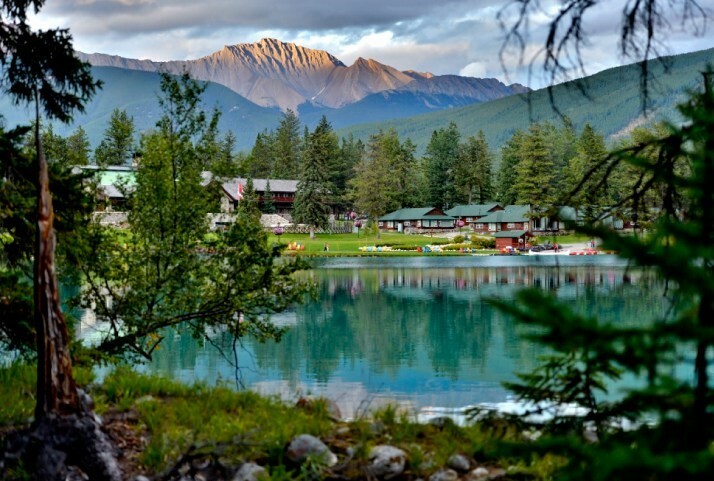 Surrounded by majestic snow-capped peaks and shimmering crystal-clear lakes, Fairmont Jasper Park Lodge is a charming village-style resort comprising cedar chalets and heritage log cabins connected by picturesque pathways that wind through the woods and lakeside. Guest rooms are located throughout the rustic property, while signature cabins and many of the suites are situated along the shoreline of Lac Beauvert. Some of the guest rooms feature fireplaces and all include cable television, in-room movies and coffee-making facilities. Creative regional and Italian cuisine is served in a choice of restaurants, against a backdrop of outstanding panoramic vistas. 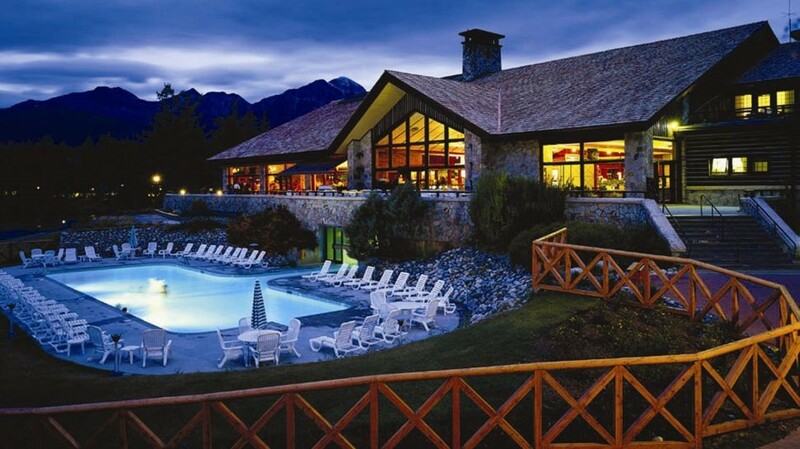 For the energetic, the health club features a fully equipped fitness centre and an outdoor heated swimming pool, while for relaxation, The Fairmont Reflections Spa offers a choice of massages and treatments. 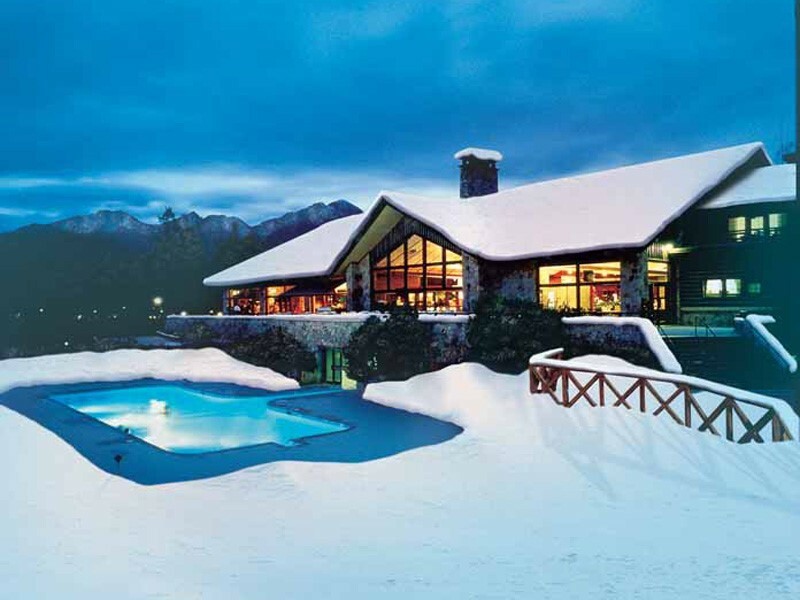 Equally suited to a winter break with snow-based activities, or a summer stay where activities such as hiking, canoeing and golf are the order of the day, Fairmont Jasper Park Lodge is a luxurious base from which to enjoy a relaxing holiday in the most glorious surroundings. All guest rooms and suites feature an alarm clock/radio, cable television, in-room movies, coffee-maker, computer dataport, hairdryer, iron and ironing board, mini-fridge and telephone with voicemail. On request, connecting rooms, bathrobes, high-speed internet access and rollaway beds can be provided. 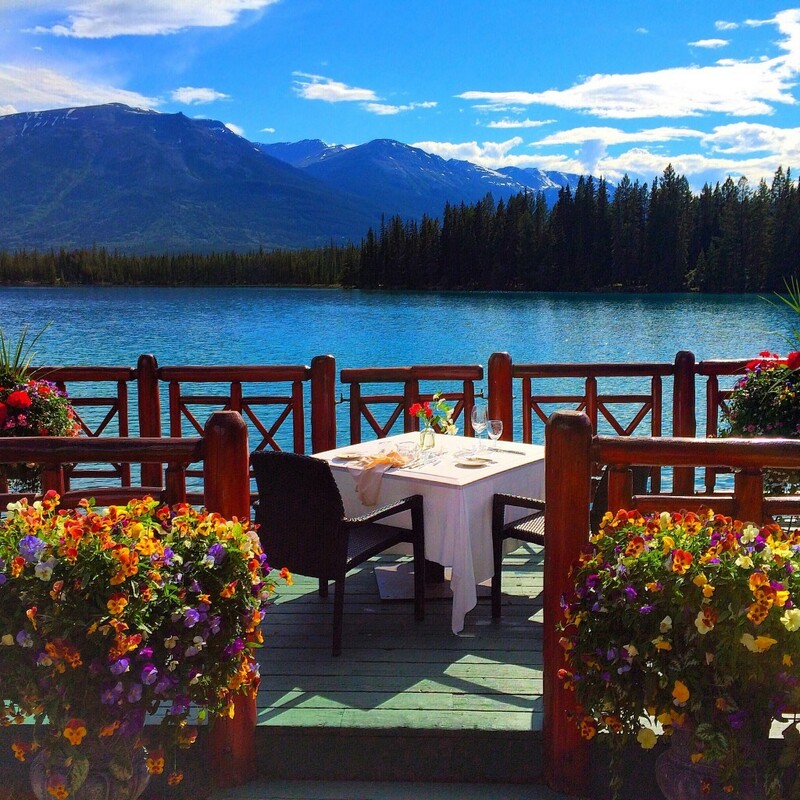 Situated in Jasper National Park - which is the largest in the Canadian Rockies and part of UNESCO's Canadian Rocky Mountain Parks World Heritage Site - seek to explore this amazing landscape in all seasons. Explore the park with a trip to Mount Edith Cavell, an imposing peak, but one of the park's best-loved landmarks, or experience Columbia Icefields on one of the world's most scenic drives to the largest ice field south of Alaska, covered in glistening glacial ice. Alternatively, take to the crystal-clear waters of Lac Beauvert on board a kayak or canoe as you drift around on the serenity of this majestic lake. 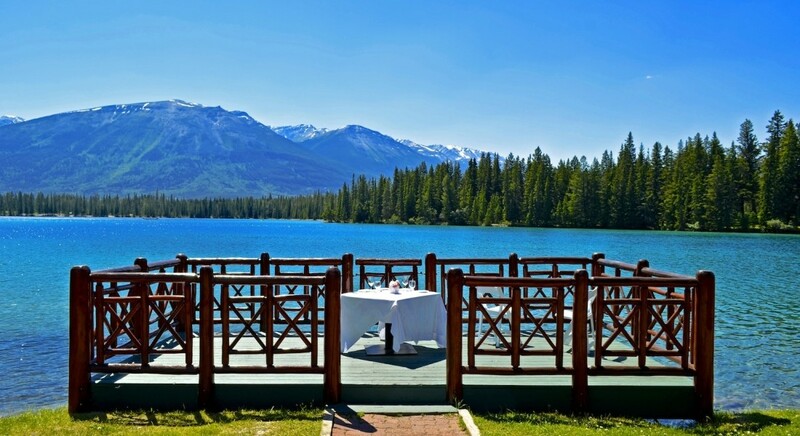 Fairmont Jasper Park Lodge is perfectly located for exploration of the magnificent Jasper National Park scenery. The perfect example of a protected mountain ecosystem, visitors can enjoy the wildlife, outdoor recreation and a range of natural attractions. What makes it totally unique, though, is that even in the town centre, wild animals such as elk, moose and caribou, all roam free. This family-friendly hotel provides everything you need to keep children entertained throughout your stay. Let them have fun in the complimentary Kids' Club - an unsupervised play area for children from 2 to 10 years old - as they play with toys and stuffed animals, read books and use the computers. With 'Natural Treasures' family programme, explore the outdoors in the summer and winter alike on an innovative scavenger hunt. Look for clues with GPS technology to find hidden hieroglyphs around the property. Healthy cuisine is available on the children's menu, while children aged five years and under enjoy complimentary dining. In addition to fantastic skiing, activities found within the park range from canyon crawling through suspended, frozen waterfalls, to exploring nature trails and white-water rafting. Jasper itself is a truly enchanting resort full of small shops and cafés, as well as a handful of après-ski bars and restaurants. The Fairmont Reflections Spa offers the perfect venue for pampering and fitness, where you can work out or wind down as the mood takes you. There are ten treatment rooms and a range of therapies and treatments designed to relax or invigorate, including hot stone massages, pedicures, manicures and treatments specifically aimed at gentlemen. In addition, the spa boasts a heated outdoor swimming pool (open year round, male and female steam rooms and a twenty-person outdoor hot tub (open year round). A selection of yoga classes are also on offer (at a small additional charge). The resort's health club, meanwhile, boasts a collection of state-of-the-art equipment, a games room and a kids' room. Jasper, and other nearby locations such as Banff and Lake Louise, is superb to include in an itinerary where the outdoors, wildlife, magnificent scenery and sports activities are high on the list of holiday priorities. Take a luxury trip on the Rocky Mountaineer train and you can experience the spectacular scenery of The Rockies, and can easily combine this journey with a stay in Vancouver, or even a luxury cruise off the coast of Alaska. Opened in 1925, the marvellous golf course is set in the heart of the Canadian Rockies and boasts spectacular views of distant mountains. Rated the 'Number One Best Golf Resort in Canada' by SCOREGolf, this 18-hole, par 71 course offers elevated tee boxes, dramatic bunkers and holes that are aligned with alluring mountain vistas. Designed by the world-renowned golf course architect, Stanley Thompson, the course showcases some of his best work, winding its way through thick forest and curving along the natural contours of the landscape, blending in naturally, whilst offering challenging terrain for any level of golfer.